From the packaging to the products, I was totally smitten with everything from the Shu Uemura x Maison Kitsune 2015 Holiday Collection. I appreciate when brands add that extra attention to detail to their packaging. 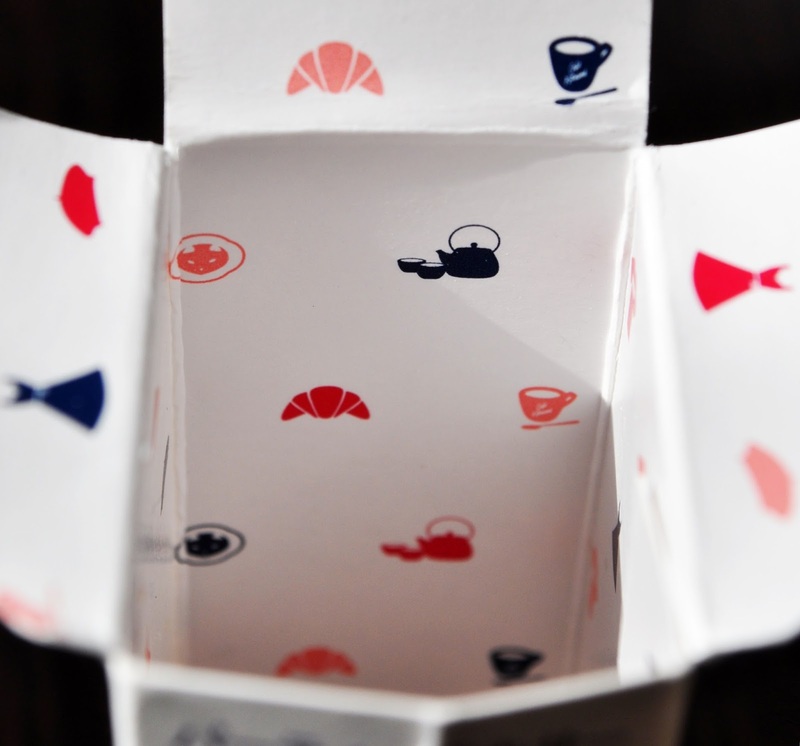 How cute are the prints along the inside of the exterior packaging?! Wish I could have a fox for a pet. 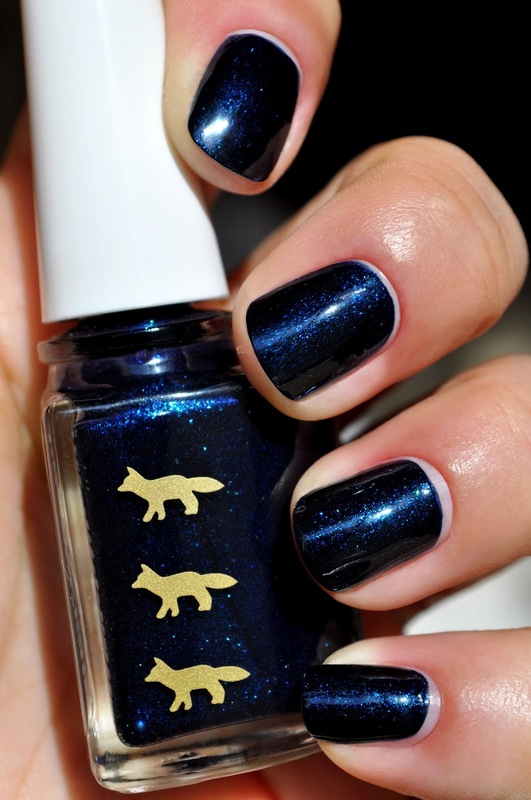 Alas, I'll have to settle with having their adorable images printed on my nail polish bottle. 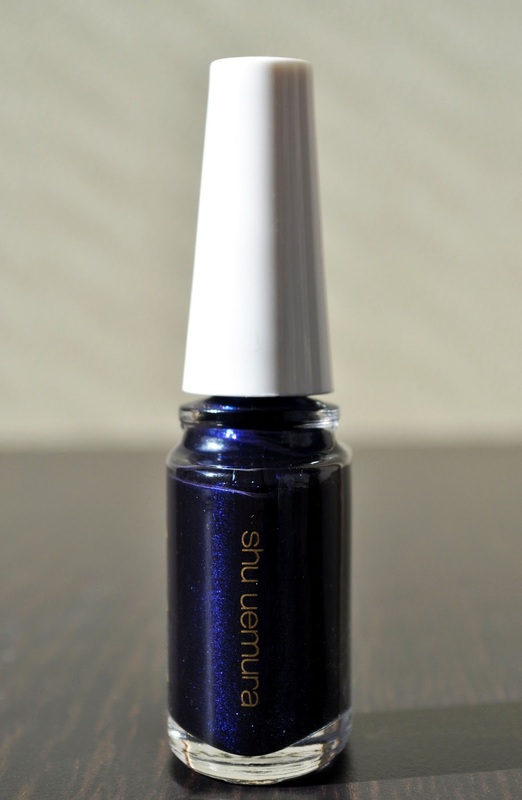 Indigo Glitz is a blackened, indigo-blue with a subtle hint of purple duochrome, and loaded with blue and green shimmer. 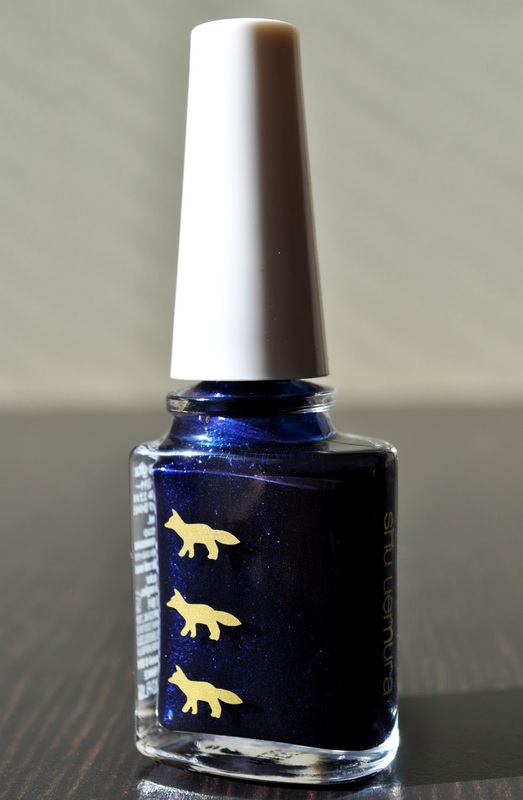 The Formula is great, applied without any issues, and is opaque after two coats. However, the finish is where I come to a crossroads; it's really odd because after a few hours of wear, even with a top coat, Indigo Glitz's finish goes dull and turns me off. Yet, there are moments when the radiant shine returns, and all is forgiven. Indigo Glitz is just playing with my emotions.